A classic sign of protection and faith, the cross is one of the oldest symbols. Our talisman charm necklace is a personal reminder that there is more than what we see around ourselves. 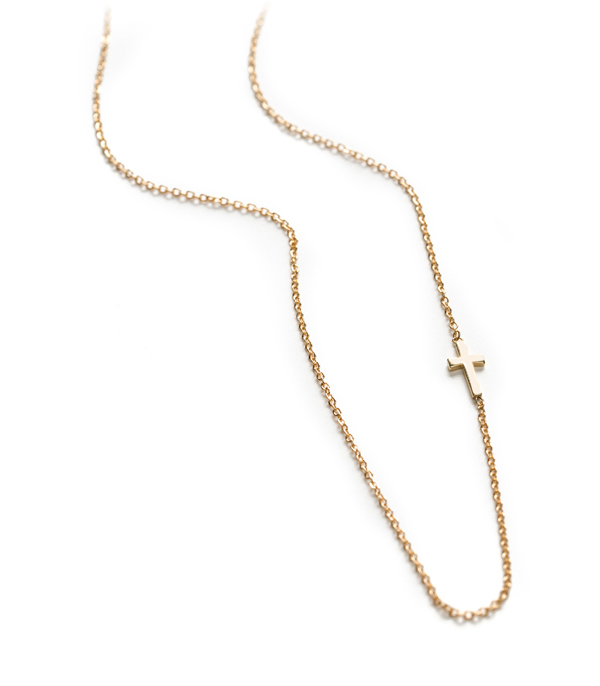 We think this layering necklace is a beautiful token of your faith, easy to pair with your Sofia Kaman statement necklaces and adds just enough sparkle to lift to your everyday. 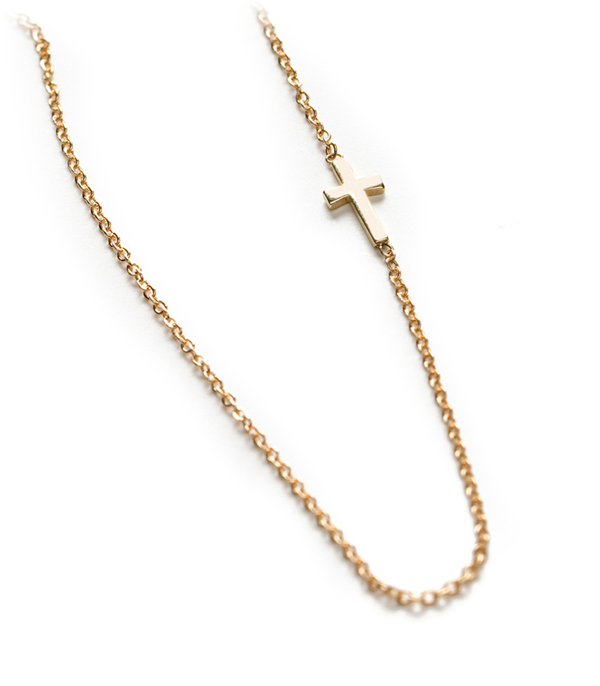 Powerful and delicate, wear this tiny sideways cross layering necklace as a reminder of the divine within.